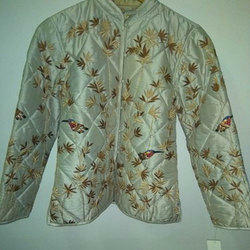 These are 100% cotton quilted reversible jackets, these are in trendy colors and designs. Quilted Leather Jacket is among the most popular products offered by us. Offered at industry leading rates, reverto ladies leather jacket is stylishly designed and crafted using quality leather. We are a distinguished brand in this field indulged in meeting varied demands of our clients best collection of Ladies Leather Jackets. - The Vedic Collection brings you a fascinating collection of garments spun from this unique fabric. Spinning of Ahimsa Silk takes around two months and weaving another month. The finished product, although slightly less lustrous, is softer to the touch. Due to perfection and quality oriented approach, we have carved niche in the market by providing an enormous grade of Sleeveless Quilted Jacket. 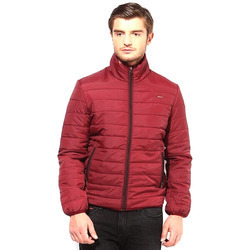 We are engaged in offering to our customer a wide range of Reversible Short quilted jacket.